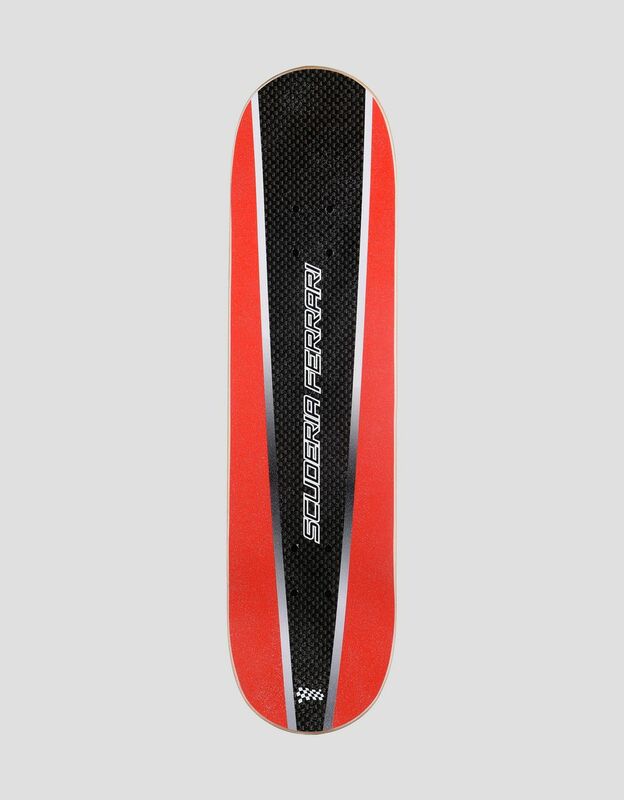 Scuderia Ferrari's passion for four wheels is reflected in this street skateboard made from Canadian maple with bold graphics inspired by the world of racing: race like you're on the track. 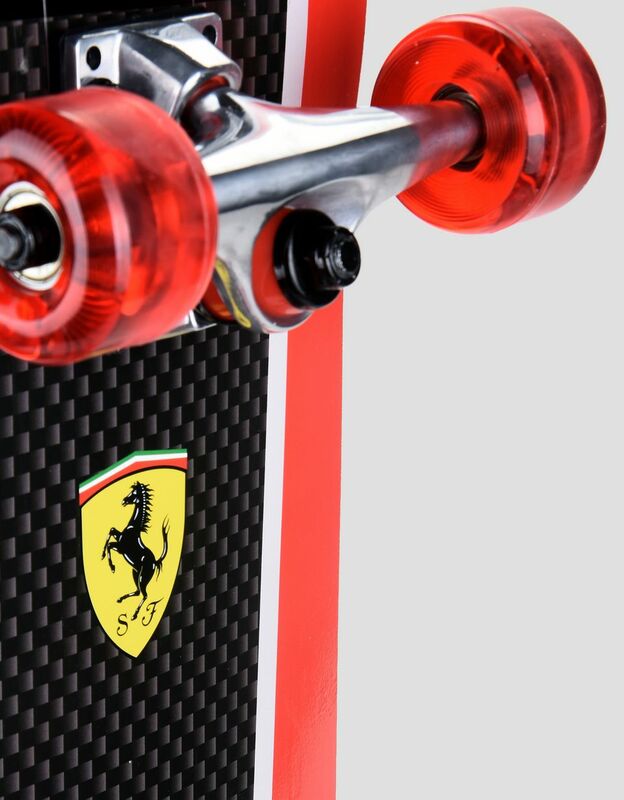 Seven layers of maple wood are used to make this skateboard designed for young fans of the Maranello-based team. 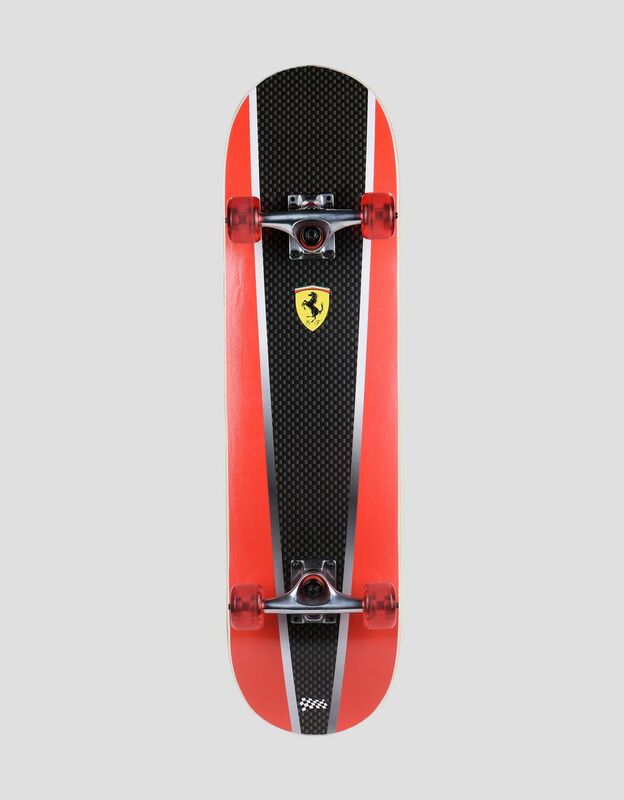 The top is finished with an abrasive layer for grip worthy of Ferrari tyres, the aluminium truck delivers manoeuvrability and safety, while the wheels with precision bearings glide perfectly over every surface. 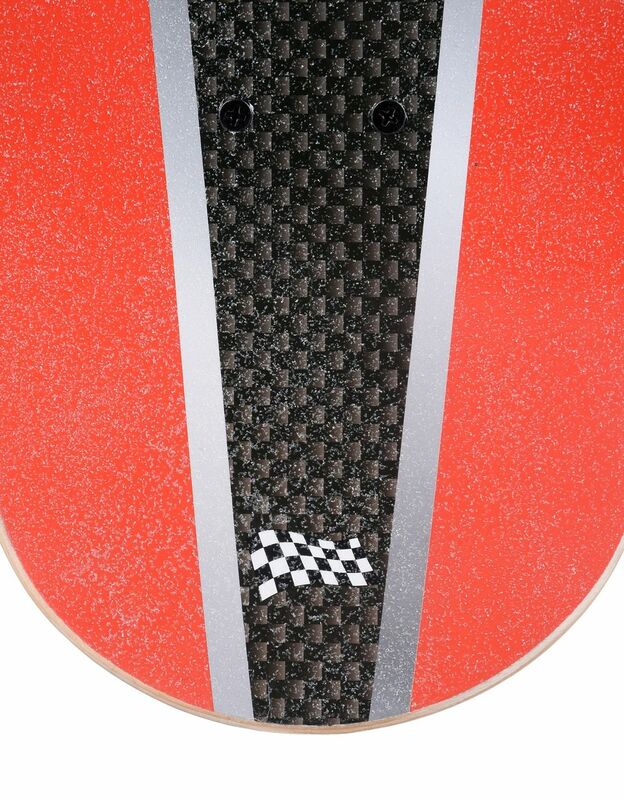 The double curvature on the nose and tail makes it perfect for professional stunts.